Courtesy of Slyman Real Estate. 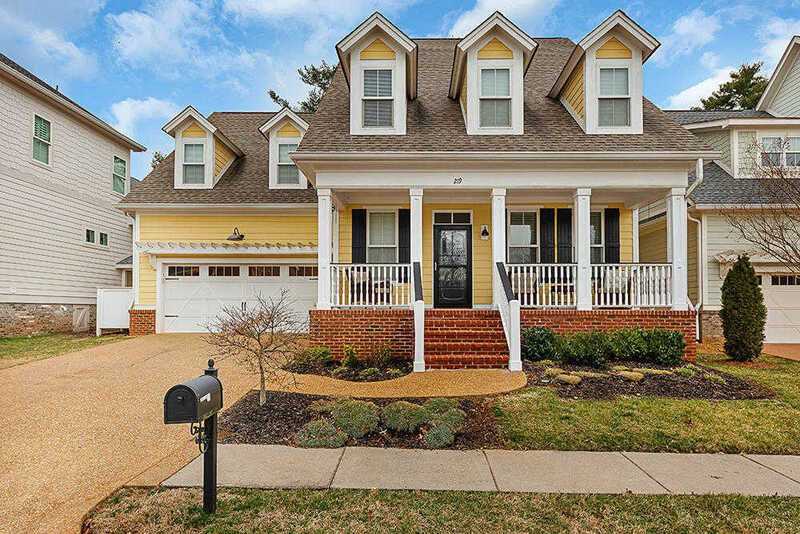 Picturesque Charleston architectural style homes located in one of Farragut’s premier communities. Featuring an open floor plan with all NEW hardwood floors, 9 foot ceilings, & formal dining room. Plush main level master suite. Gourmet kitchen with over-sized island, stainless appliances that include 5 burner gas stove, custom cabinetry, butler’s pantry & granite counter tops. Upstairs features an additional master suite plus 2 bedrooms (or bonus room). NEW gazebo overlooks iron fenced rear level yard. Upgrades include tankless water heater, floor attic space, & extensive crown molding, etc. HOA fee includes lawn care & mulching! Show & Sell! Please, send me more information on this property: MLS# 1067828 – $499,900 – 219 Ivy Gate Lane, Knoxville, TN 37934. I would like to schedule a private showing for this property: MLS# 1067828 – $499,900 – 219 Ivy Gate Lane, Knoxville, TN 37934.